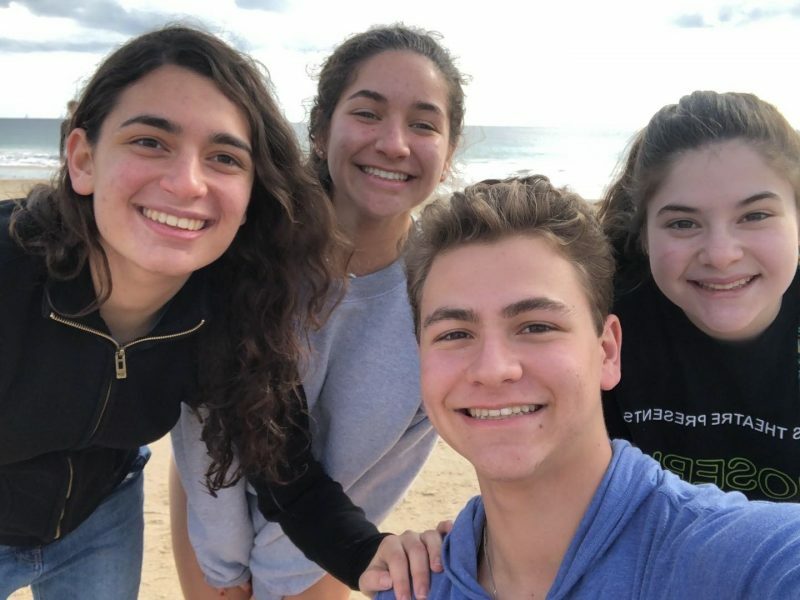 Adi Itscovich (left) is on vacation in California with her host brother and sisters, Shayna Kling, Adam Kling, and Morgan Evans. Each September the Jewish Federation of Cincinnati welcomes two new Friends from Israel/Chaverim M’Israel. This year we welcomed Adi Itscovich and Asaf Munk, who will stay through summer 2019. 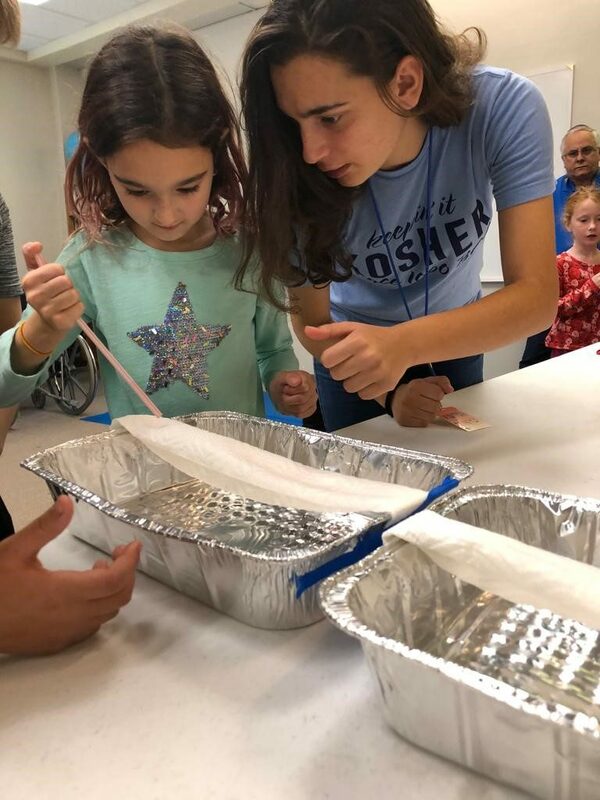 This is the 15th year of the Friends from Israel/Chaverim M’Israel program, which brings two post-high school teenagers from our partnership city, Netanya, to Cincinnati to share their stories and teach people across the Cincinnati area about Israeli life. This program is funded by the Jewish Federation of Cincinnati’s Annual Campaign. A young child throws a rock into a lake; as the stone drops, concentric circles appear on the surface, creating a ripple effect. That child is surprised but delighted by what she sees. Seven months ago, I threw my own proverbial rock into the lake—or, perhaps the Ohio River—and like that child, I did not expect what happened next. I did not anticipate the ripple effect my arrival in Cincinnati would create in the community. The concentric circles around my “rock” have reached every corner of the community—and beyond. I am continually astonished how impactful the Chaverim M’Israel (Friends from Israel) are in Cincinnati, and I am proud to be part of that long history of making connections with Israel. Whenever I walk into a classroom, I can see it in the kids’ eyes. They look up to me, as a leader and a role model. They are eager to hear and learn from us, and they listen carefully to what we teach them. This kind of impact has to be built upon trust, and the kids trust us. They trust us because our relationship and interactions do not stop within the classroom walls. As a matter of fact, they do not even start there. Our relationships with Jewish kids and teens start outside the formal classroom. It is important to me to take the extra step to engage with them before we try to teach them anything. So I sit with the students from Kulanu (the Reform Hebrew high school) as they eat dinner before class; I just talk to them and get to know them. I stay late at Mercaz (the Conservative Hebrew high school) to talk with friends or to answer questions, even though class is over. And I engage with some of the students outside of Hebrew high school. In the midst of all those simple, sincere conversations, they learn about Israel and being an Israeli—in a much more authentic way than traditional instruction. Adi Istcovich works with a student at Rockwern Academy, where the Chaverim M’Israel teach weekly sessions about Israel. It makes me proud to make such an impact on the young people in this community, the same way, as the oldest in my family, I am proud of the impact I have on my younger siblings. When my little brother asks me for advice, I feel proud. When my young sister tells me about her day and how she overcame a challenge, I feel proud. When teens here ask me for guidance and trust me with their problems, or when I get into deep conversations about Israel and Judaism, I feel proud. The kids enjoy hearing my stories about Israel, and they always ask to hear more. While those conversations are integral to my role as Chavera, it goes well beyond. In addition to Israel education, we teach the students about acceptance, how to think outside the box, and how to work as a team. I have seen the ripples expand to public and private schools in Cincinnati. Over the course of the year, we will reach more than 5,000 different people—some of whom are not Jewish. We bring Israel, and in some cases Judaism, into their worldview. Before we arrived at Lloyd High School in Northern Kentucky, many of the students had never met a Jewish person, let alone an Israeli. At Indian Hill High School, I overheard students discussing how interesting the presentation was—from Israeli culture to the Israel Defense Forces, to the high-tech industry. And at the University of Dayton, I talked politics with law students and professors at their diversity fair. 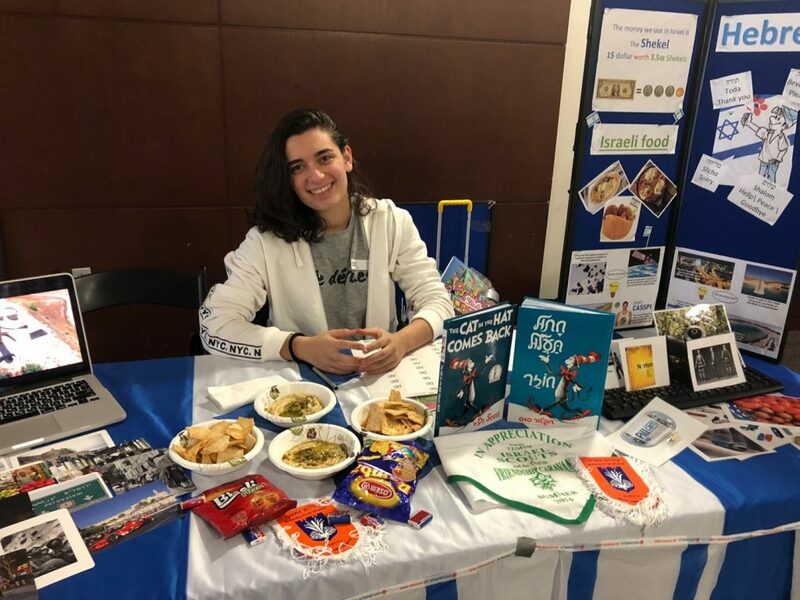 Adi Itscovich set up a booth at the University of Dayton Law School diversity fair, talking to people about Israeli politics, technology, and culture. These concentric circles, or ripple effects, have traveled far—all the way to Israel. A few weeks ago, we were given two weeks of vacation in Israel. As I talked to my friends and family members about Cincinnati, I found myself functioning as a “double shlicha,” an emissary both in the US and Israel. I described the Cincinnati Jewish community and explained to people what it means to be Jewish outside of Israel because Israelis don’t really know. As far and as wide as this ripple effect has worked, I have been changed just as much by this community—in surprising and delightful ways. In the midst of this community, I have rediscovered and redefined my Judaism. I have been welcomed so warmly, loved, and accepted. I have had the privilege to live with and get to know my hosts, the Kling and Evans families. Cincinnati has truly become a second home. Thanks for caring about our community and what we do. Stay connected: sign up for our newsletter here.